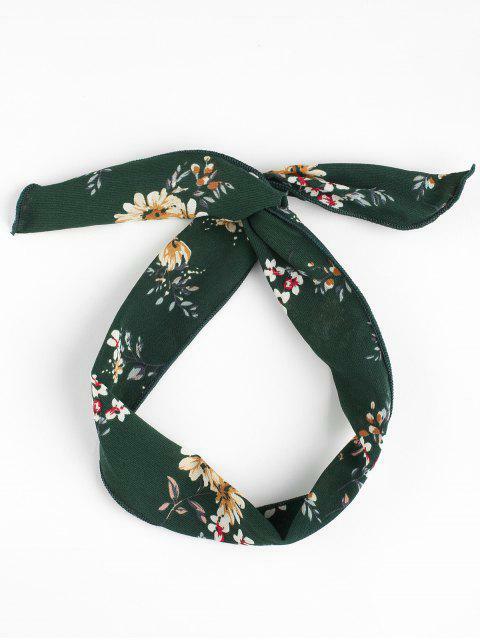 [13% OFF] 2019 Vintage Flower Print Headband In BLACKISH GREEN | ZAFUL ..
Lindo! Bonita tela,color y tiene una especie de vara o alambre que te permite doblarlo a tu antojo..
Super cute! Comfortable and of fantastic material. I love the color since it goes well with most if my outfits. Since this headband has a wire it doesn't slip and slide; messing up my hair. I reccomend this and I will be buying more. once I get paid of course. Huehue! This is my all time favorite headband. The inside of it is actually a wire so you can adjust it and mold it to be exactly how you want it to. The wire goes all the way to the tip of the headband so you can also shape the ends either up or down or whatever.